Give Your Little Adventurer a Personalized Radio Flyer Book for the perfect & unique holiday gift! This post is sponsored by Radio Flyer. All opinions are my own. If there’s one thing I’ve learned about my daughter, it’s that she won’t do anything until she’s ready to do it. Remember our potty training adventures? Or the sleep debacles (I should say lack of sleep)? Entering into preschool this fall, our latest impasse was ABC’s. We were told in our teacher/parent meeting to keep working with our smart and stubborn girl to get her to fall in love with reading. So that brought up the question, what does my spunky 4-year old love? Imagination, her Radio Flyer Scooter, and story time. 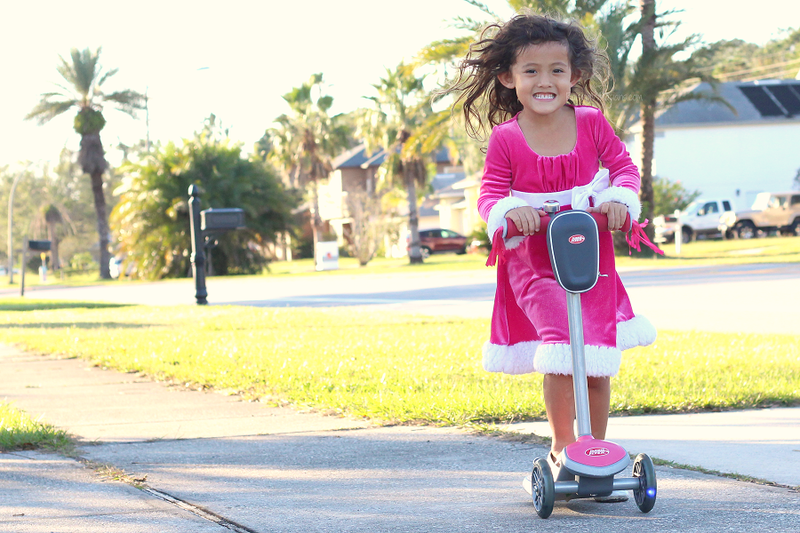 Oh, how she loves her custom pink Radio Flyer scooter – she rides hers every single day! So when we heard that we could give our preschooler personalized Radio Flyer book that features her and her love of her scooter, I was ALL in. 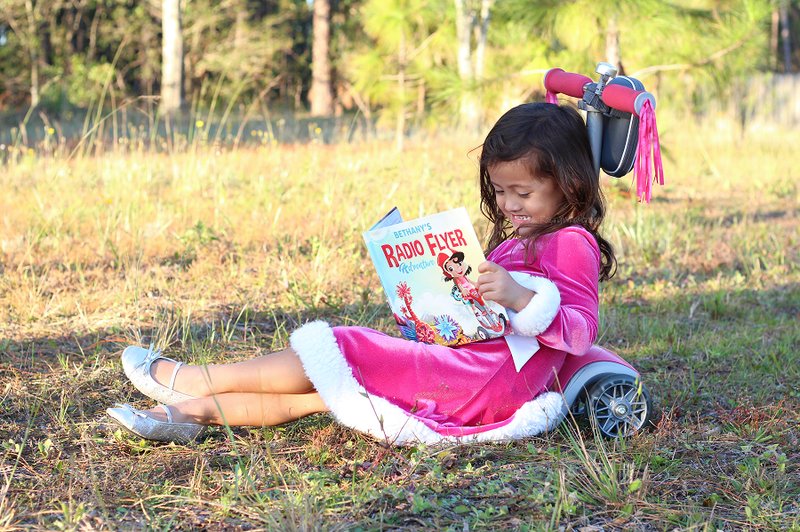 Check out how many different ways you can customize your own Radio Flyer Personalized Book in partnership with I See Me, grab your exclusive savings and be sure to scroll down for a fun holiday giveaway! For 100 years, Radio Flyer has been powering play and inspiring imagination in kids of all ages, from their nostalgic little red wagons and tricycles to their trendy scooters and ride-on toys! With amazing quality and sturdy designs, these toys have been a part of our family’s adventures for many years. 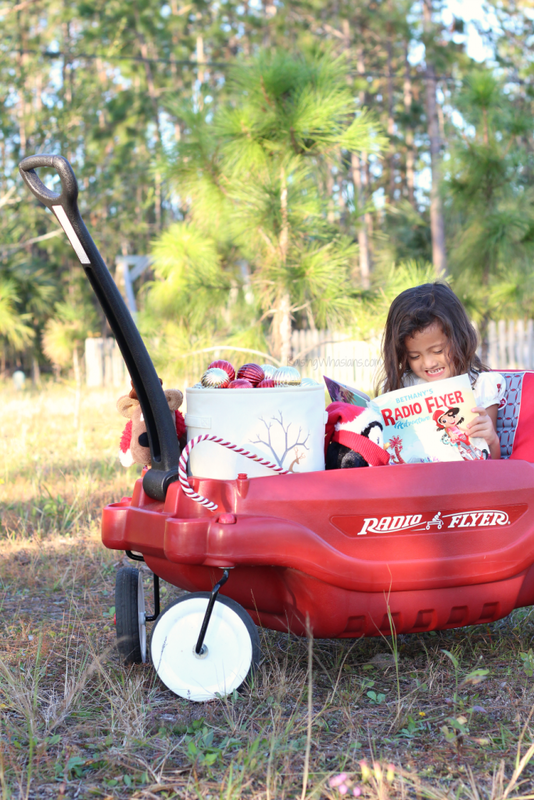 And now just in time for the holidays, Radio Flyer brings even more inspiration into your home with a Personalized Radio Flyer Book. 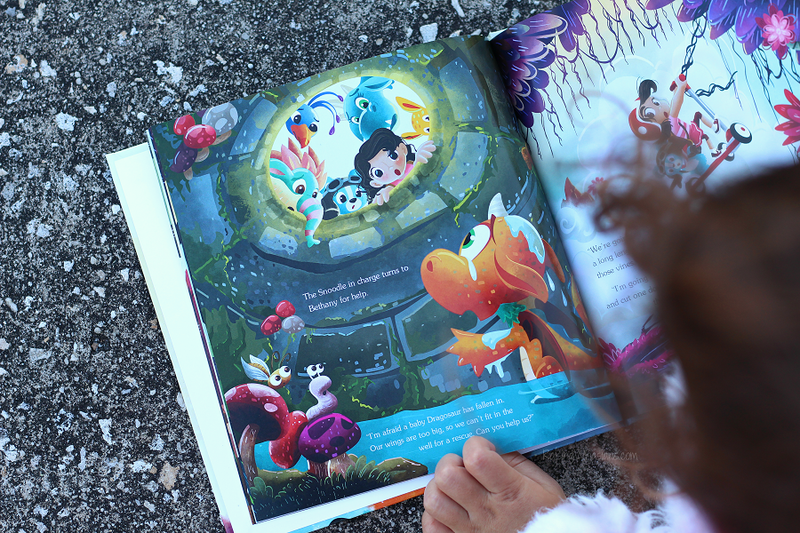 There’s nothing more unique than a personalized book to encourage your child to read. And when it comes to high quality, our family LOVES I See Me. 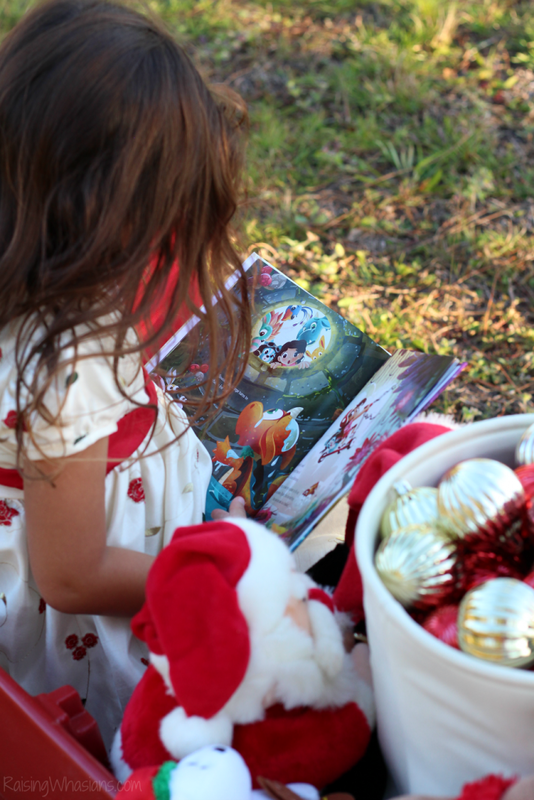 Teaming up with Radio Flyer for the holiday season, these new personalized books featuring Radio Flyer toys make the perfect holiday gift for your little reader. Even my stubborn little girl loves sitting down to hear the story about her and her Radio Flyer Scooter! Not only can you personalize the name in the book, but Radio Flyer and I See Me go even further to make sure your little adventure can picture themselves in this exciting story of caves, creatures, daring rescues and more! Choose your child’s gender, hair and skin color and of course, their own personalized Radio Flyer vehicle to take along for the adventure. I love how I could input some of my girl’s beautiful Asian features into her book! This 20-page book is full of beautifully illustrated pictures, their name on every page, and lots of FUN as your child saves the day too. Such a fun gift that definitely makes a great collectable! What’s better than giving a wonderful unique gift to your kids for the holidays? Saving on one! Save 15% off your Personalized Radio Flyer Book with coupon code CHRISTIE15 at checkout. This is a book that encapsulates our little adventurous girl in this moment of her life. I know that we will enjoy reading this personalized Radio Flyer book for many years to come, along with many more adventures with her Radio Flyer scooter. Be sure to enter Radio Flyer’s 25 Days of Holiday Giveaways from now through December 15th! Radio Flyer continues to be a timeless symbol of childhood imagination. 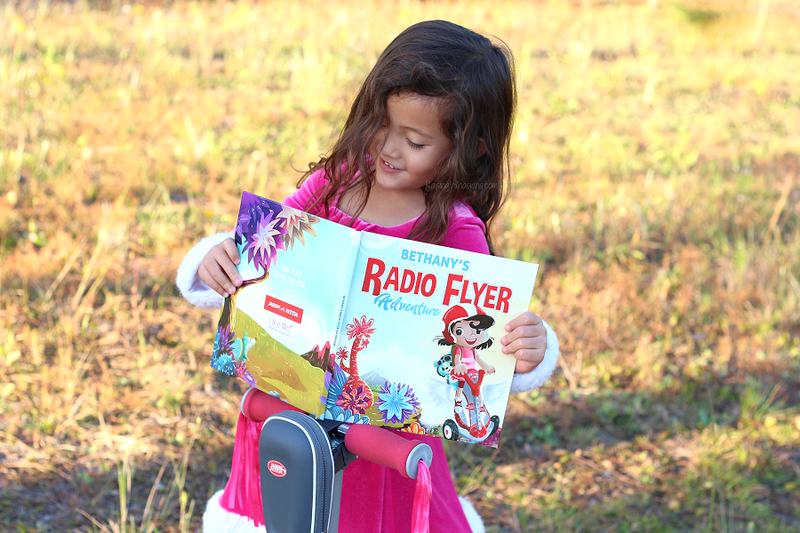 Whether we’re exploring in our Radio Flyer wagon, zooming on our Radio Flyer scooter or dreaming big with our new Personalized Radio Flyer Book, I know that my little adventurer will always cherish Radio Flyer as a part of her childhood. I will too. 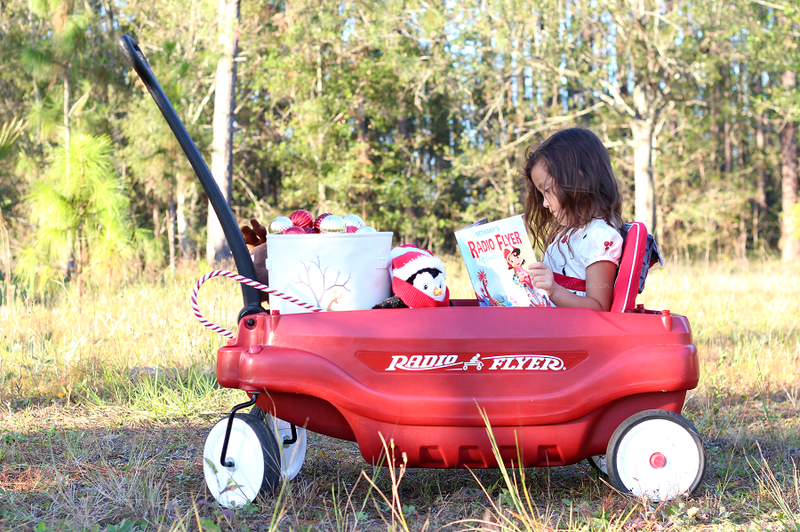 Who would you gift a personalized Radio Flyer book to this holiday season? Be sure to follow Raising Whasians via Facebook, Twitter, Google, Instagram, Pinterest and YouTube for more of our family moments, favorite products & gift ideas. That is so cute! I love personalized books. They’re a great way to get the kids interested in and excited about reading. Because they’re IN the story. This looks like such a cute book! My kids love seeing their names in books. It gets them more interested in the book and wanting to read it on their own. Oh how sweet! A personalized Radio Flyer book with a wagon or scooter would be a memorable gift for any child! My girls would love this for Christmas. I like how you can personalize the name in the book and the Radio Flyer. I love the new style of the Radio Flyer wagons! The book looks super cool! The Radio Flyer wagons are so cool. We have one that was my daughter’s when she was little. What a fantastic idea for Christmas! My son loves his radio Flyer, and he would love a personalized book! Thanks for the discount code! We used to have a radio flyer when my daughter was little and she loved it,. Also, the I See Me books are the best and I love how personalized they get. I’m loving the Radio Flyer scooter, and the book is a great bonus. Thanks for the info! I would love to give this PERSONALIZED RADIO FLYER BOOK to my granddaughter! Radio flyer is the best gift to give during the holidays. I love that you can now personalize it! I love to give personalized gifts! It’s such a good way of telling your loved ones how special they are! I may have to get the Personalized Radio Flyer Book for my niece this year for Christmas! So darling! The Radio Flyer is a toy that my family has loved for generations. What a special way to keep the bond special with a personalized book. 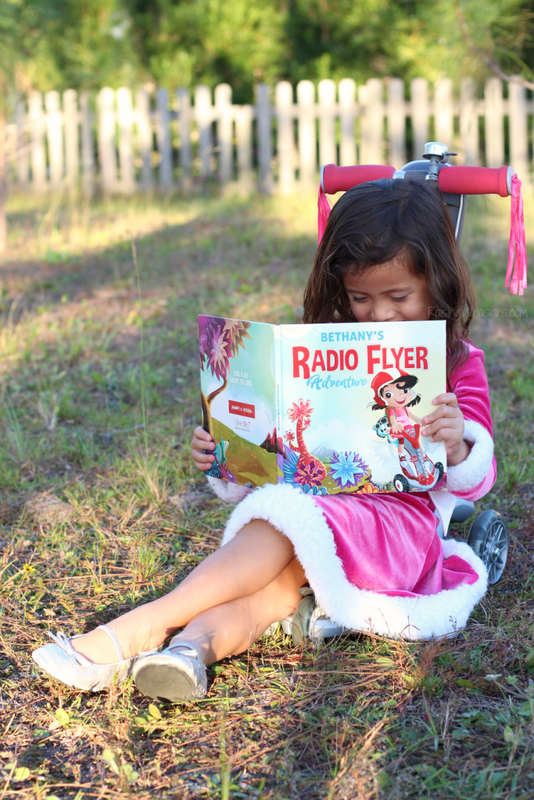 This is awesome., My daughter would really enjoy a Radio Flyer book. What kid doesn’t want a Radio Flyer? I had one as a kid and would love one for my kids! I miss the Radio Flyer days. This is a really great giveaway idea. 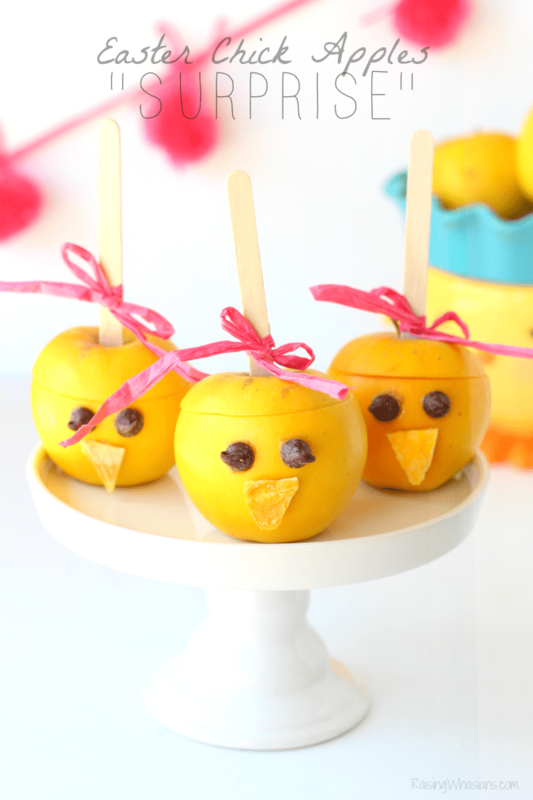 This is a cute idea! Personalized gifts are really perfect for kids! I love how your daughter was really into that book! I love to gift kids with books and I love how this one was personalized. What an awesome gift that would be. A personalized book about the child and her favorite scooter! I wish we had this when my kids were still little. They would have loved it! Personalized books make any child more interested in reading! It also makes them feel special. I think this is such a lovely gift for the kids this Christmas! I entered. My grandson is getting a Radio Flyer Scooter for Christmas. By the way your daughter looks adorable in the pictures. I love personalized books for the kids! It’s really making them more interested in reading as often as possible. I think this is great! Our kids loved Radio Flyer when they were younger. This definitely sounds like a great gift idea for the holidays! I would love to gift one for my kids.